Many Christians have noted a dichotomy in modern thought. On the upper level is value; on the bottom level is fact. On the upper level is faith; on the bottom level is reason. On the upper level is religion; on the bottom level is science. On the upper level it is non-rational; on the bottom level is rational. In other words, the upper level is about personal feelings and beliefs and the lower level is made up of more solid and real things like reason, science, and facts. Francis Schaeffer discussed and critiqued this modern view in his excellent book, Escape from Reason. In this book he gives a good Christian and biblical answer to modernity’s false dichotomy. I have come to the point where, when I hear the word “Jesus”—which means so much to me because of the Person of the historic Jesus and his work—I listen carefully because I have with sorrow become more afraid of the word “Jesus” than almost any other word in the modern world. The word is used as a contentless banner, and our generation is invited to follow it. But there is no rational, scriptural content by which to test it, and thus the word is being used to teach the very opposite things from those which Jesus taught. …It is now Jesus-like to sleep with a girl or a man if she or he needs you. As long as you are trying to be human you are being Jesus-like to sleep with the other person, at the cost, be it noted, of breaking the specific morality which Jesus taught. But to these men this does not matter because that is downstairs in the area of rational scriptural content. We have come then to this fearsome place where the word “Jesus” has become the enemy of the Person Jesus and the enemy of what Jesus taught. We must fear this contentless banner of the word “Jesus” not because we do not love Jesus but because we do love him. We must fight this contentless banner, with its deep motivations, rooted into the memories of the race, which is being used for the purpose of sociological form and control. We must teach our spiritual children to do the same. This accelerating trend makes me wonder whether, when Jesus said that toward the end time there will be other Jesuses, he meant something like this. We must never forget that the great enemy who is coming is the anti-Christ. He is not anti-non-Christ. He is anti-Christ. Increasingly over the last few years the word “Jesus,” separated from the content of the Scriptures, has become the enemy of the Jesus of history, the Jesus who died and rose and who is coming again and who is the eternal Son of God. So let us take care. If evangelical Christians begin to slip into a dichotomy, to separate an encounter with Jesus from the content of the Scriptures (including the discussable and the verifiable), we shall, without intending to, be throwing ourselves and the next generation into the millstream of the modern system. 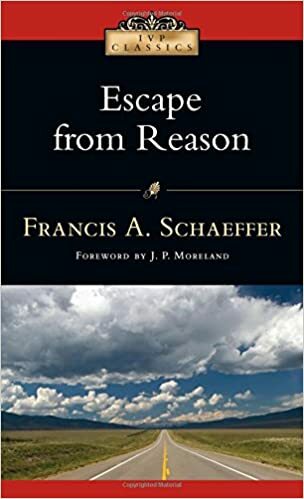 Francis A. Schaeffer, Escape from Reason (Westmont, IL: IVP Books, 2014). …Christianity has the opportunity, therefore, to speak clearly of the fact that its answer has the very thing that modern man has despaired of—the unity of thought. It provides a unified answer for the whole of life. It is true that man will have to renounce his rationalism, but then, on the basis of what can be discussed, he has the possibility of recovering his rationality. You may now see why I stressed so strongly, earlier, the difference between rationalism and rationality. Modern man has lost the latter. But he can have it again with a unified answer to life on the basis of what is open to verification and discussion. Let Christians remember, then, that if we fall into the trap against which I have been warning [pitting faith against rationality], what we have done, amongst other things, is to put ourselves in the position where in reality we are only saying with evangelical words what the unbeliever is saying with his words. In order to confront modern man truly you must not have the dichotomy. You must have the Scriptures speaking true truth both about God himself and about the area where the Bible touches history and the cosmos. This is what our forefathers in the Reformation grasped so well. Schaeffer, F. A., & Moreland, J. P. (2014). Escape from reason. Westmont, IL: IVP Books. Although I have read several books by Francis Schaeffer, I haven’t read one of his more popular ones called How Should We Then Live? I’m around the halfway point and so far I’m enjoying it. Right near the beginning, Schaeffer talked about Roman persecution of Christians in the early centuries of the church. I like how he explained it; there are lessons here for Christians today! Francis Schaeffer, How Should We Then Live? p.25-6. There was a time before the fall, and then man turned from his proper integration point by choice, and in so doing, there was a moral discontinuity; man became abnormal. Remove that and the Christian answer in the area of morals is gone. Often I find evangelicals playing games with the first half of Genesis. But if you remove a true, historic, space-time fall, the answers are finished. It is not only that historic, biblical Christianity as it stands in the stream of history is gone, but every answer we possess in the area of morals in the area of man and his dilemma, is gone. 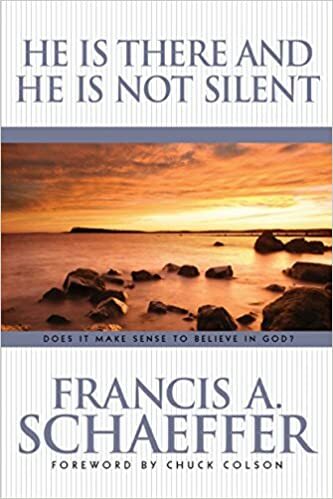 I was recently re-reading part of Francis Schaeffer’s book The God Who is There. Specifically, I studied section 4 – the part where Schaeffer talks about “taking the roof off” of people’s lives. What he means by this is that when we talk to unbelievers about their belief systems, we show them the inconsistencies, inadequacies, and weaknesses of it. There is no romanticism as one seeks to move a man in the direction of honesty. On the basis of his system you are pushing him further and further towards that which is not only totally against God, but also against himself. You are pushing him out of the real universe. Of course it hurts; of course it is dark in the place where a man, in order to be consistent in his non-Christian presuppositions, must deny what is there in this life and in the next. Often it takes much more time to press him towards the logical conclusion of his position than it does later to give him the answer. Luther spoke of the Law and the Gospel; and the Law, the need, must always be adequately clear first. Then one can give the Christian answer because he knows his need for something; and one can tell him what his deadness really is, and the solution in the total structure of truth. But if we do not take sufficient time to take the roof off, the twentieth-century man will not comprehend what we are trying to communicate, either what his death is caused by, or the solution. We must never forget that the first part of the gospel is not ‘Accept Christ as Savior’ but ‘God is there.’ Only then are we ready to hear God’s solution for man’s moral dilemma in the substitutionary work of Christ. Sometimes when we talk to people who aren’t Christians they may already know they are in deep need of help and truth and light. We might use a different approach with them. But for those unbelievers who don’t know their need or recognize their dire situation, this approach is a good one: taking the roof off. It gives us a good opportunity to show the person the riches of the gospel and the hope, light, and life we have in Christ alone. The above quotes were taken from The God Who Is There, p.162-163. Schaeffer then mentions “propositional promises” of Scripture, like John 3:36: Whoever believes in the Son has eternal life, but whoever rejects the Son will not see life, for God’s wrath remains on them (NIV). Francis Schaeffer, The God Who Is There, 164-165.